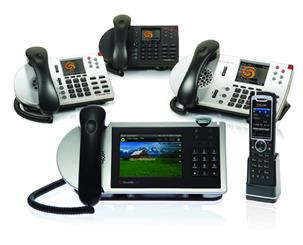 PTS provides ShoreTel unified communications solutions. The ShoreTel solution leverages the power of VoIP telephony to bring multimedia communications, enterprise applications, and personal information into one seamless and integrated environment. With minimal training, end users master ShoreTel Communicator’s built-in tools; at the touch of a button, a simple phone call becomes a multimedia collaboration session. Thanks to tight integration with Microsoft Outlook, just one click can transform a calendar appointment into a full collaboration experience for both internal and external participants. Embrace BYOD with ShoreTel Mobility and ShoreTel Dock, a powerful hardware and software combination for the mobile generation. ShoreTel’s IP phone system is a completely integrated unified communications (UC) system that is built from the ground up and designed to be the easiest to use and easiest to manage full-featured IP phone system on the market today. Its distributed architecture is ideal for multi-site companies that span multiple locations because the ShoreTel IP phone system appears and behaves as a single, unified system. ShoreTel’s distributed architecture is ideal for multi-site companies that span multiple locations because voice switches and servers can be located anywhere on your IP network. ShoreTel’s web-based management interface, ShoreTel Director, can manage and monitor all aspects of your system including IP phones, voice switches, voicemail, and auto-attendant. Unified Messaging allows access to voicemail and contacts out of the box with Microsoft® Outlook® integration. End Users can also make use of their calendars to schedule conferences and control handling of incoming calls. ShoreTel Mobility extends the full power of a desk phone and UC capabilities to a mobile and sets the user free to communicate from any location (office, home, hotspots) by enabling access to any network (cellular or Wi-Fi), simply and cost effectively. or visit our ShoreTel Products Catalog.